We are often asked how we got started with beekeeping. Our journey with bees began largely when we moved to Hunterdon County from Montclair, nearly four years ago. Zachary, our youngest child, has asthma and suffered from very bad seasonal allergies, which naturally worsened when we moved to Kingwood Township and its rural surroundings. We searched for a number of remedies to alleviate his allergic reaction which significantly increased in the Spring and Fall seasons. We are always cautious about prescribing medicines for the children and often seek out natural treatments whenever possible. In researching about the many benefits of local, raw honey, we learned that honey can help prevent allergies. The concept is called immunotherapy and the philosophy is to strategically expose your body to the element you are allergic to, which over time should make you less sensitive to it. 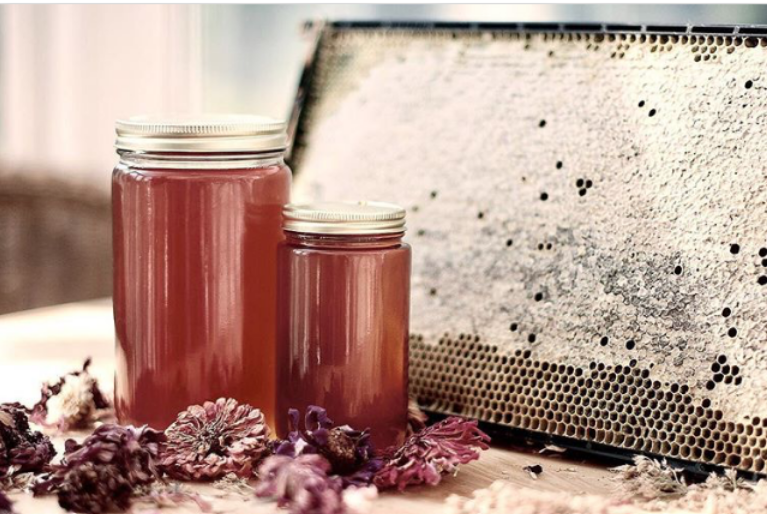 In this case, raw honey, named this because it has not been filtered or heated, contains pollen and the body becomes more tolerant of pollen, thus reducing your allergic reaction. This provided a great reason to purchase lots of raw honey from local beekeepers. Several became great friends and even mentors which led to my increasing curiosity with beekeeping, I would spend weekends devouring beekeeping books and became very interested in the recent perils of the honey bee. Approximately 10 years ago, scientists and commercial beekeepers noticed a decline in the honeybee population. This also led to awareness of a phenomenon called colony collapse disorder. There is much debate on the exact cause of colony collapse disorder but many believe it largely a result of two primary causes: the increasing use of pesticides and mites – parasites which are impacting beekeepers all over the country. This is problematic because, depending on who you believe, pollinators are responsible for nearly 1/3 of food eaten by Americans. After months of research and coaxing by my local beekeeping friends, we decided to take the plunge and order bees, officially starting our journey as beekeepers. Initially, we ordered two bee packages – which consist of one queen bee and approximately 7,000 bees in a wooden container the size of a shoe box. The box contains a mesh wire to allow air to pass through as well as a sugar water mixture which acts as a food source. The bees arrived in mid-April and in the months leading up to their arrival, I spent several weekends building two bee hives. Many of the hive components come pre-cut and the assembly is actually pretty easy and simple.